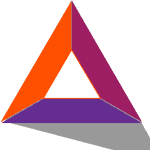 BAT offers an alternative; the BRAVE browser, that specialises in removing/reducing levels of unwanted and inferior marketing, while prioritising individuals that want to operate ethically through BAT-related services. Users and publishers receive coins for watching/consuming information, and advertisers benefit from a higher return on investment (ROI), better targeting, and reduced fraud. BAT already has the attention of many traders, as the concept of a mutually beneficial marketing platform is an intriguing one. Moreover, BRAVE has experienced growth and continued improvements, as the application is available for download via the BAT official website. As BAT matures, their primary focus will be driving adoption to both their platform and BRAVES. BAT has already made an excellent start with over 5.5 million active users and 28,000 verified publishers as of Jan 2019. Their resources are now concentrated on boosting these numbers while they make continued improvements to their platform. For more information regarding BAT visit the official website or view their timeline.